When Packy was in high school, his mother insisted that he had to try everything once, including football tryouts and computer club. As much as he hated football, he unexpectedly loved computer club. Computers and programming became a calling, but Packy also discovered a passion for theater. He was hooked on the way acting allowed him to shift his character, even slightly, and interact with people in a more direct way. Later, when he met his wife at a community theater production of Guys and Dolls, they spent long hours talking about how they were typecast according to physical appearance. Packy would always be told he was a great character actor – “the big round cheerful guy” – and his wife kept finding that she was cast in the mom or best friend role. But they both knew they were more than that, their identities as performers were more nuanced than the first impression of physical appearance and they had other layers that went beyond these performer identities. 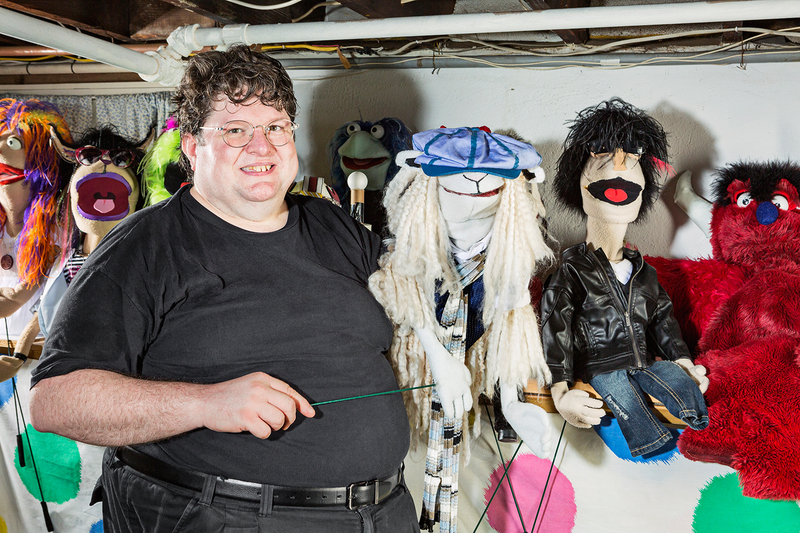 Packy had started playing with puppetry and animation in high school, and at his wife’s urging he decided to pursue this outlet for storytelling. Puppets offered a way to inhabit any character he wanted. 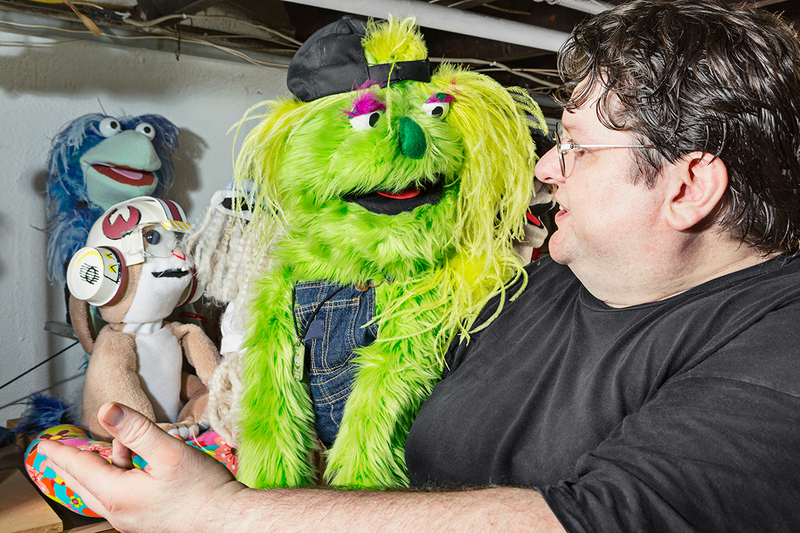 “With puppets it doesn’t matter what you look like, you can tell the stories you want to tell. 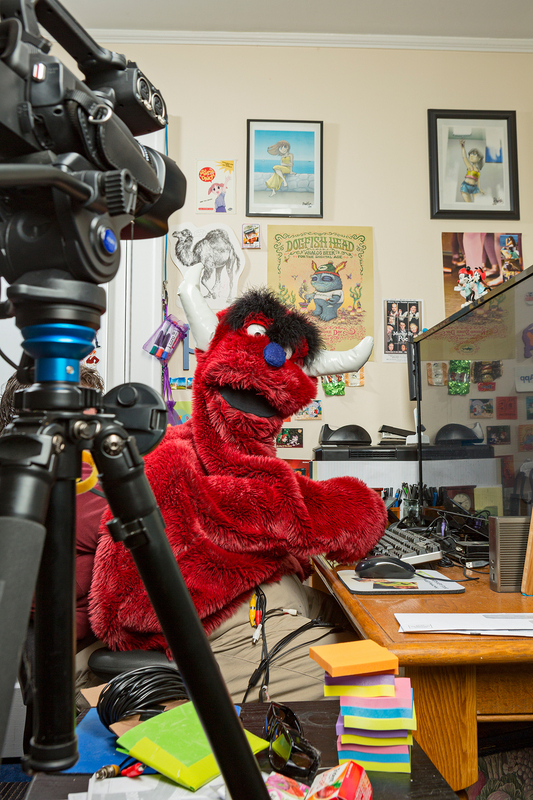 It’s all about how well you can act through the puppet.” Packy soon decided to tell stories through his puppets online. These days, when he’s not working in his tech role as a software engineer, Packy and his wife produce an online puppet show that they describe as an “extended dad-joke”, an entertaining and inoffensive show that families are able to safely watch together. 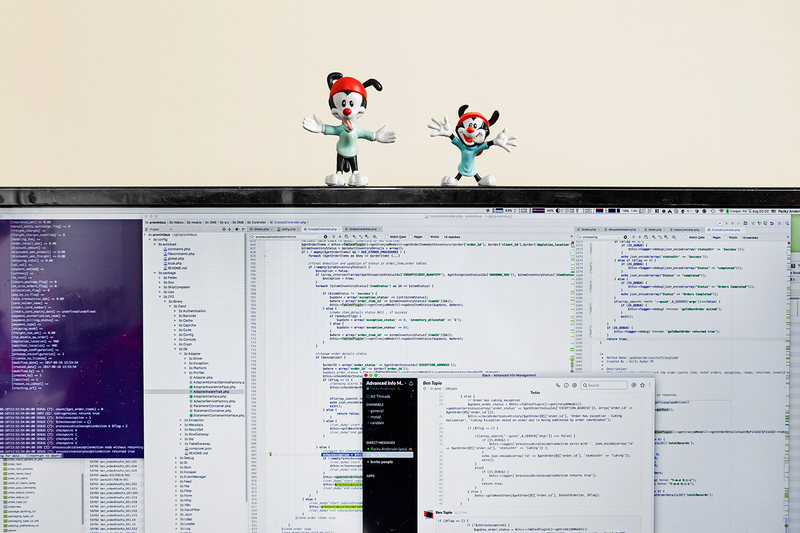 Packy never expected he would decide to work in tech, and enjoy it, nor did he expect he would run an online puppet show. But now that he is balancing these two identities he says finding his own path wasn’t about avoiding becoming a “3rd generation tech person,” but more about realizing that he didn’t have to choose just one identity.